Extractions: O ne of the numerous religious sects who emigrated to American shores in search of religious freedom, the Shakers followed Mother Ann Lee to the United States in 1774. Here they established several colonies the first in 1776 at Nikayuna near Albany, NYwhose governing principals included celibacy and agrarian communal living. The term Shakers, originally used as a pejorative for members of a dissenting Quaker church which called itself the United Society of Believers in Christ's Second Appearing, referred to the sect's ecstatic form of worship. Founded in England in 1747 the Shakers practiced a religion that was also a lifestyle. The members lived in gender segregated, dormitory-like housing, but came together to work, and pray. Like the Quakers they believed in personal communication with a God who was both male and female and in the ability to find and give voice to the Inner Light. Those expressions took the form of hymns and work songs, of which SIMPLE GIFTS is the most famous, as well as rhythmic swaying and "dancing" when the spirit moved them. Besides leading a simple but comfortably self-sufficient existence from the fruits of their land, the Shakers came to be known for their architecture, crafts, and furniture. 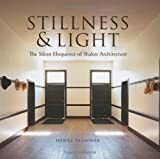 Shaker design, with its clean, economic lines, is the quintessential statement of the happy marriage of form and functiona tangible embodiment of the Shaker credo: "Beauty rests on utility." Extractions: Profile Beliefs Links Audio/Visual ... Bibliography Name: Shakers (The United Society of Believers) Founder: Ann Lee Date of Birth: February 29, 1736 Birth Place: Manchester, England Year Founded: History: The Shakers are one of the few success stories resulting from the proliferation of communitarian and millenarian groups in eighteenth and nineteeenth century Europe and America. They splintered from a Quaker community in Manchester, England (Gidley and Bowles 1990). James Wardley, its preacher, had absorbed the teachings of the millenial French Prophets and his community began to evolve around 1746 (Melton 1992). The members were known as the Shaking Quakers and were viewed as radical for their communion with the spirits of the dead and impassioned shaking that would occur at their services (Horgan, 1982; Robinson 1975). As radicals, all the members were harrassed, including a young married woman named Ann Lee. Fervent from a young age, Ann had a revelation during a long imprisonment that she was the Second Coming of Christ, the vital female component of God the Father-Mother (Bainbridge 1997; Gidley and Bowles 1990; Horgan 1982; Robinson 1975). Extractions: The Shakers, or United Society of Believers in Christs Second Appearing, are the most enduring and successful of the many communitarian societies established in America in the 18th and 19th centuries. The first Shakers, led by Ann Lee, came to America from Manchester, England, in 1774 seeking a place to freely practice their religious beliefs. Near Albany, New York, they established the foundation for a unique sect which has endured for more than 220 years. The early Shakers traveled through New England and New York, attracting converts who were impressed by the kind of personal, spiritual relationship with God preached by Ann Lee. Converts gathered into communities, bound by their shared faith and a commitment to common property, celibacy, confession of sins, equality of men and women, pacificism and separation from the world. By the 1830s nineteen Shaker communities had been established in New York, Massachusetts, Connecticut, New Hampshire, Maine, Ohio, Kentucky and Indiana. Shakerism reached its peak in the mid-1800s, with an estimated five thousand members. Despite economic success, however, the Shakers never lost touch with the spiritualism that was at the heart of their beliefs. Although whirling, trembling, shaking and other ecstatic worship gave way to more orderly dancing and singing in religious services, Shakers continued to lead lives of purity and devotion to God. Hancock Shaker Village is an historic site in western Massachusetts, USA. We interpret the lives of the shakers who lived here from 1783 to 1960. From JTR joannerabun@comcast.net Subject shakers/Quakers. Encyclopedia of Religion Website? Date Sat, 7 Jun 1997 220413 0400. Does anyone have a good explanation of the difference between shakers and Quakers? Good Days Ahead" THE shakers. Home Page Of Reggae The shakers Bio. Read about our history, which started in the early '70s. Extractions: Our CD's Are Out - And They're HOT! The Shakers Bio Read about our history, which started in the early '70s. Click above to save the MP3's for your CD-quality listening pleasure The above MP3's are sponsored by Bill Mihan www.billzhouse.com MAHALO, BILL! MP3 PLAYERS What's an MP3? Where do I get an MP3 player? Hey these mp3's are cool, where can I find more? Island Gifts Direct - Order some excellent Island Music! KCCN/KINE Home Page Section shakers@aloha.net Sign Our Guestbook Below! Extractions: The Shakers are a communal religious organization that flourished in America during the 19th century and continues today. Their ideals of simplicity and perfection produced a legacy of unparalleled craftsmanship and created for them a reputation of honesty, humility, and dedication to God. The religious beliefs of the Shakers set them apart from mainstream America. Their charismatic founder, Ann Lee, established principles of celibacy, communal ownership of property, public confession of sin and withdrawal from "worldly society" as the basis of Shaker theology. A dance-like ritual performed as part of their worship service gained them the derogatory title "Shakers," a name they later accepted. South Union was one of 24 villages established by the Shakers. During the village's 100 year history, the Shakers acquired and worked 6,000 acres of farmland, constructed over 200 buildings, and maintained industries that developed for them a national reputation. South Union garden seed, fruit preserves, brooms, hats, bonnets, baskets, rugs, linen, and silk were marketed to customers in the south from Nashville to New Orleans. The Shakers at South Union created a unique material culture, combining the simplicity in design mandated by Shaker leaders with the regional characteristics brought into the community by converts steeped in southern tradition. THE unofficial Bury FC site, powered by rivals.net, your independent voice for Bury and the shakers. Fourpiece band from Melbourne, Australia. Site includes band information, lyrics, tour schedule, and sound samples. (At the New York Public Library) Reference bibliography. Some advice on how to collect dog salt and pepper shakers, with pictures. Extractions: Delightful Dogs Dog Salt and Pepper Shakers HOME DOG PIX ARTFUL DOGS RECIPE ... DOG JOKE Salt and pepper shakers are a relatively recent phenomenon. And dog salt and pepper shakers are even more modern. Salt and pepper shakers date back roughly to the 1860's in England. The 20's saw increased popularity and by World War II they had become the people's collectiblemass manufactured and marketed and designed for whimsy. The range is wide, from Occupied Japan to Limoges , from plastic to porcelain to metal. Some are clearly designed to imitate other collectibles, such as these imitation Staffordshire dog salt and pepper shakers I bought years ago from an upscale catalog. Carries a variety of advertising cookie jars and salt and pepper shakers. Includes Mr. Peanut, Pillsbury Doughboy, McDonald's, Hershey, and Lionel. manufacturer and supplier of laboratory equipment, temperature, humidity chambers, dry ovens, incubators, shakers, bath, circulators, temperature and humidity chamber. The shakers, a member of the United Society of Believers in Christ s second appearing, was one of the utopian farming communities of the early 1800 s.
Extractions: The Shakers, a member of the United Society of Believers in Christ's second appearing, was one of the utopian farming communities of the early 1800's. More than a farming group, they were dedicated to a life of perfection, invented many time-saving tools and machines, and created distinctive styles of architecture, furniture, and handicrafts. With their beginnings in England, the Shaking Quakers were a small branch of radical English Quakers. They were known for their shaking, dancing, shouting, and signing in their religious rituals. Living in Manchester, they were persecuted in their early years. The Shakers attracted a young woman named Ann Lees, whose last name was shortened to Lee. Her decision to join was strongly influenced by the death of all four of her children, three of whom died as an infant and one who died as a toddler. From her experiences, she became increasingly opposed to male-female relationships. Her belief in celibacy became central to the nature of the Shakers. Becoming more and more vocal, the Shaker meetings became more and more lively. The meetings were so intense that she was imprisoned for "profanement of the Sabbath." When she was released, she had a series of visions of the Christ. She believed, along with many other members of the group, that she was the female aspect of God's dual nature as the second incarnation of Christ. In 1774, a portion of the Shakers migrated with Ann Lee to Niskeyuna (now Waterlivet), New York (green on map). At first, the group of nine were unable to find new followers. After a couple of years, Mother Ann, as she was being called, started to gather followers. James Whittaker continued the organization after the death of Ann Lee in 1784. At her death, the society had approximately one hundred members. Offers collectibles including cookie jars, salt and pepper shakers, Shelley, Chintz and other English China. Welcome to the Official Site of Those Legendary Shack*shakers updates bio photos quotes tour dates artwork links. Purchase wooden and inlayed pepper mills and salt shakers. New Brunswick Scientific offers dozens of innovative shakers for cell culture, hybridization, staining and duty shaking needs and our CLine shakers for less demanding applications. Extractions: New Brunswick Scientific offers dozens of innovative shakers for cell culture, hybridization, staining and destaining gels, plasmid preps, and combinatorial chemistry protocols. We offer two distinct lines: our Innova Series for heavy-duty shaking needs and our C-Line Shakers for less demanding applications. New Brunswick shakers are used in more laboratories, the world over, than any other biological shaker. Their immense popularity stems from the quality materials and an often imitated but never duplicated design principle that translates into worry-free operation, often for decades of continuous use. Little wonder that our top-of-the-line Innova models are the best-selling shakers in the industry. These microprocessor-controlled shakers offer a wide range of advanced features for reproducible results, automated operation and long life. Design advantages include pushbutton setpoints, digital alarms and self-correcting feedback controls that lock onto speed and temperature with exceptional precision. Built-in safety sensors limit speed when the shaker is overloaded or unbalanced. Some models even include dual-temperature programming to limit metabolic activity in studies that end overnight or on the weekend, saving a return trip to the lab. With 19 models to choose from, including several space-saving stackable units, there's a shaker to meet your every need.